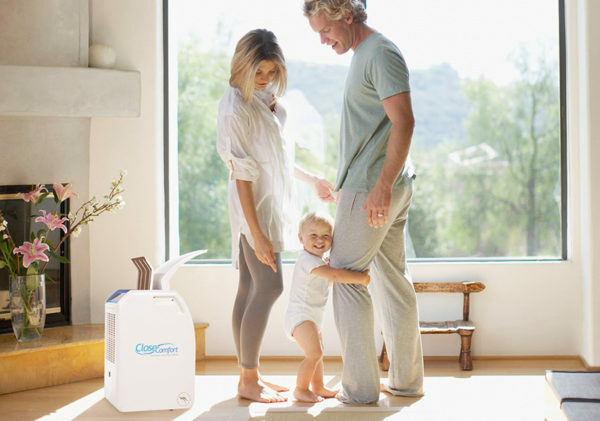 When installing a huge air-conditioner in your home is out of the question, you need the next best thing – and that’s a portable, personal air conditioner unit. There’s no messy water tanks or ice to contend with, nor pipes or consumables – just plug it in and you’re good to sit and chill. Perfect for personalised cooling of the space you’re in, the PC9+Plus Personal Air Conditioner operates on just 300 watts (that’s less than four light bulbs) and is estimated to cost between just 50¢ and 75¢ a night to run. Compared to cooling a whole house, that’s a whole lot less strain on the family budget when the energy bill rolls in. The Close Comfort PC9+Plus Personal Air Conditioner is priced $649 and available direct from Close Comfort.